The purpose of this topic is to discuss the adventures if ships and crew in the Star Trek Adventures Frontiers universe. If you are using a ship not listed here, please feel free to a add a thtead about your ship. 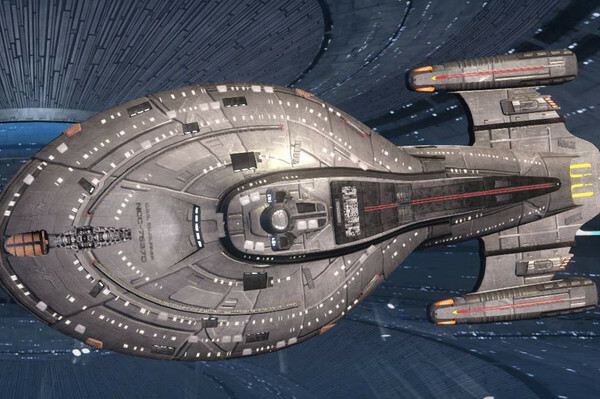 USS Intrepid - NCC 774600. 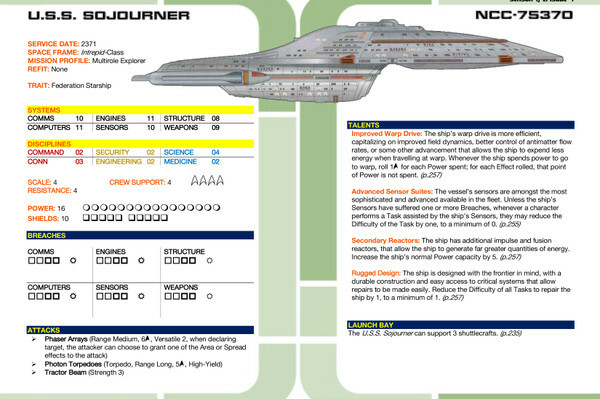 Here's my players' Intrepid-class starship, U.S.S. 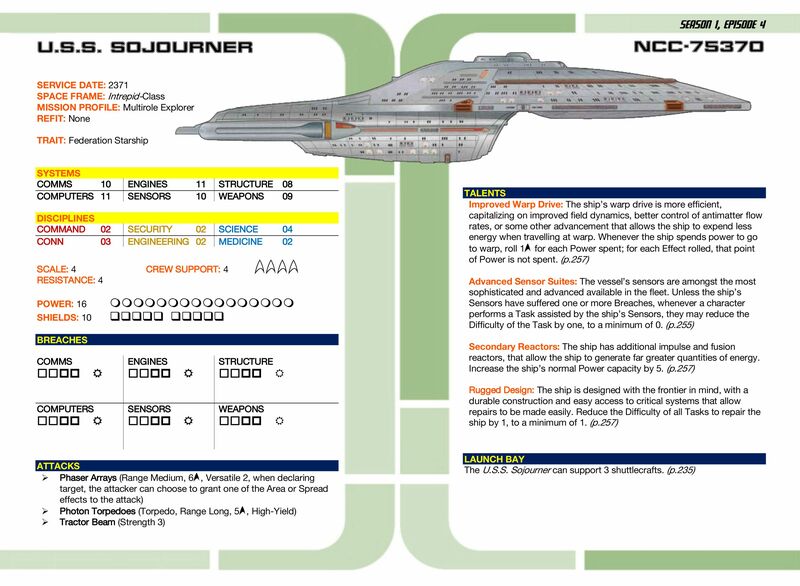 Sojourner NCC-75370. 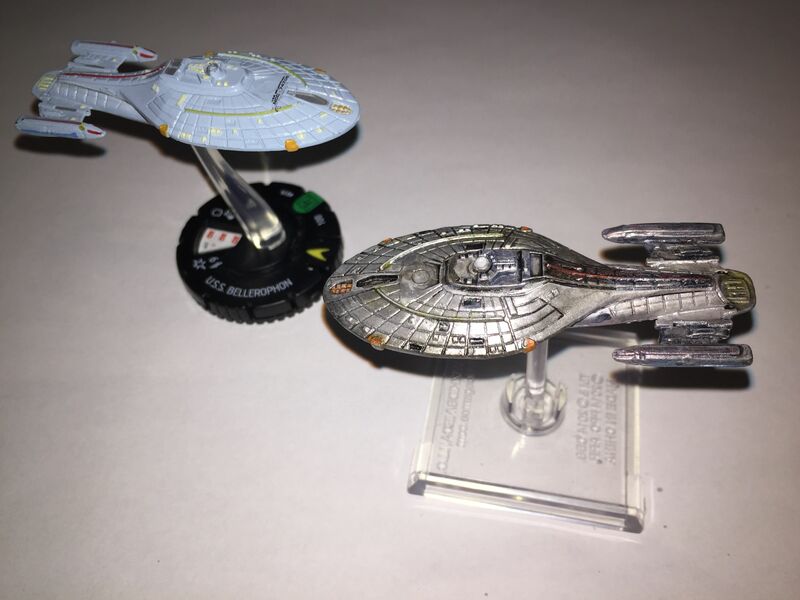 Mix of own/fan materials, TATV, Modiphia, and Living Campaign.